NWA Mid South Wrestling sponsors list keeps growing! Home / NWA MIDSOUTH / NWA Mid South Wrestling sponsors list keeps growing! We’re excited to announce that we’ve added two new sponsors in the Union City, TN area! Read below for details! 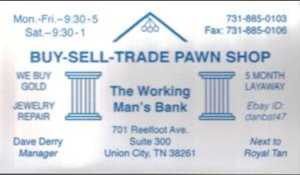 The first sponsor we’ll feature today is “Buy-Sell-Trade Pawn Shop”! Suite 300 right there in Union City, TN! 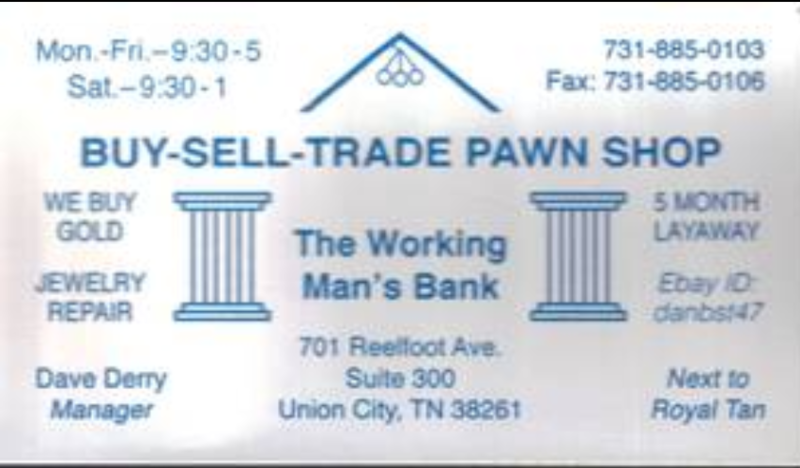 Whether you need a little extra cash until pay day or you’re just looking to clean out that old jewelry box & sell some old gold, they’ve got you covered! Be sure to tell Dave Derry & the rest of the crew that NWA Mid South Wrestling sent you! Our next new sponsor to be featured is Green Acres Homes, located at 811 West Reelfoot Ave in Union City, TN! Whether you’re a college student at UT Martin & need your first home-away-from-home or you’re relocating your family, they’ll take care of your housing needs! Give them a call today at 731-885-5874 & don’t forget to let them know that we sent you! Stay tuned because we’ll be adding more sponsors as time goes on! And don’t forget to “Like” and “Share” our Facebook page – https://www.facebook.com/nwamidsouth! Also, you can follow us on Twitter at this address – @NWA_MidSouth!